Strapping Tools There are 6 products. 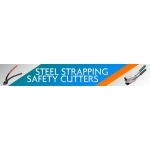 Buy quality strapping tools that are professionaly manufacturered by Pro-series and Optimax! Contemporary strapping tools come in such a variety of designs and specifications, we wouldn’t be surprised if there were strapping professionals who regularly asked for the latest equipment for their next birthday present. If you know someone like that (or you are someone like that!) then put the kettle on because you’re in for a treat. Whether you’re cutting, tensioning, sealing, or all of the above, we supply all the tools you’ll need for the job. From basic manually operated unpowered tools, up to seriously powerful battery driven pieces of kit that Arnold Schwarzenegger would feel proud to have used if he’d had to meet the challenge of a legitimate industrial strapping emergency in the Terminator films. Take for example the ZXT1216 model from Optimax. Designed for heavy duty industrial use, it tensions, seals and cuts quickly and efficiently in a variety of widths and thicknesses of polyprop or polyester strapping materials. With a full 400 straps per charging cycle, it is the lightest available in its class, with a weight of only 3.5kg – and that includes the battery! Or how about the Signode BXT, which sounds like Harry Potter’s latest broomstick (the name, rather than the motor) and seals with a friction weld. 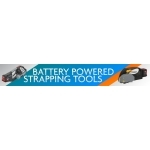 It’s another top of the range battery operated combination strapping tool. At the other end of the spectrum, we’ve got tools that are engineered to produce great results by end, without the aid of a battery. Strapping sealers, tensioners, cutters and combination tools from recognised professional manufacturers such as Pro-series and Optimax are available to order online, each engineered for reliability and ease of use. If you’re doing some strapping, then you need strapping tools. We have those! They’re nice and they do the job. However, if you’re a serious strapping professional with industrial strength jobs to power through time and again, day after day, then you need some serious kit to get it done quickly, efficiently and (if possible) feeling like Jeremy Clarkson with a Ferrari 458 Spider, cruising along an empty road in the Appalachian Mountains. Fortunately for you, we share your passion for battery powered strapping tools, so we’ll happily give you a run down of the top performers for strapping speed, money, lightness and battery charge. First up, consider the fast charging, longer lasting, new improved model from Signode, the BXT Battery Powered Strapping Tool. Top of the range pricewise, it’s designed to be happily recharged whenever’s convenient for you, rather than waiting until the battery has run down. It’s reliable in demanding situations and has a number of impressive design features that make it a top runner. If you have the need for speed, then the TVX Li-ion Friction Weld Battery Powered Strapping Tool is one of the fastest, taking just under 3 seconds to do the whole job of tensioning, sealing and cutting. That’s fast! For intelligent weight distribution, how about the ZHT Battery Powered Strapping tool, which is less tiring to operate, so reducing fatigue. Achieving tensions of up to 3300N it’s a high performer. Finally, for the lightest in its class, the Optimax ZXT1216 has to be the choice. Weighing only 3.5kg complete with battery, it gives all the combination strapping features you need, but in a much lighter weight tool. If battery powered strapping tools are one of your favourite things, it’s okay, we’re with you on that. 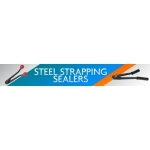 If you’re looking for a steel strapping tensioner, look no further. We’ve got the full range! Industrial strapping calls for industrial strapping tools and equipment, so when you’re looking for professional quality you’ve come to the right place. If you’re strapping with steel, then you’ll need a particularly robust tensioner, and we have a range to suit a variety of jobs - from standard strapping to heavy duty and super heavy duty, as well as the equipment you’ll need if you’re working with irregular shaped bundles and packages. 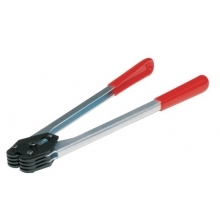 Pro-series offer a standard steel strapping tool which we supply for widths of up to 19mm. If you’re binding or packaging flat packed loads with pallets, crates or bales and you don’t need the strength of the other tensioners in the range, then go for the standard steel tensioner. When you need extra strength and resilience, you could choose for a mid range tensioner such as the Optimax heavy duty steel tensioner. Again, it is suitable for strapping of up to a width of 19mm. Our heaviest duty tensioner for steel strapping is the super heavy duty steel tensioner in the Optimax range. Go for this one when you need extra strength strapping tension for industrial strength loads. And if you’re looking to strap pipes or other rounded or irregularly shaped bundles or loads, you’ll find the irregular shape HD steel tensioner just the job. It holds the strapping tightly against itself, giving you more flexibility for contours and tricky shapes. 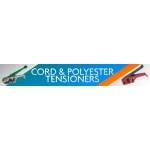 We take the tension out of cord and polyester tensioning. Ironic isn’t it! 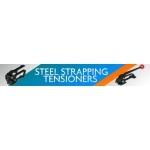 If you’re looking for professional tensioners for use with cord and polyester strapping you’ve come to the right place. And have we got cord and polyester tensioners for you! Let’s start by looking at the standard model from the professional, popular, great value Pro-series range. The CST20 model can take woven or composite strapping and are just what you need if you’re working with CB buckles. 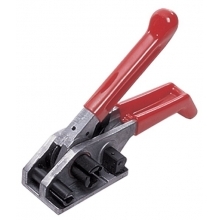 With strapping of up to 19mm in width, this tool achieves strong tensions with minimal effort. Looking for some heavier duty tensioning? Not a problem. We have a range of models to suit. The monster version is the QXT heavy duty strapping tensioner from Optimax which can take widths of up to 38mm. Wow, 38mm. We knew you’d be impressed. This product range also includes the CHD heavy duty strapping tensioner for woven or composite strapping. It takes up to 25mm strapping, works very well with CB buckles and is perfect if you’d like your latest tensioning tool to come in a classic blue and black colour scheme. Sometimes these things are important. Other tensioning tools are available though, like the JTP jumbo strapping tensioner. If you thought the QXT was impressive, we can’t wait to hear what you think of the JTP because it can accommodate up to 40mm wide strapping! No wonder it’s called the jumbo tensioner. Basically, if you need a cord and polyester tensioner for professional use, just take a look through our range and select the one that’s right for your job. 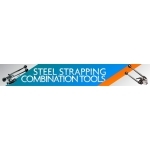 If you’re on the look out for a steel strapping combination tool, come straight to us for some fantastic all-rounders! Why use two products when you only need one. It’s a sensible question. Okay, you may have a perfectly good reason to use separate tools for your steel strapping tensioning, sealing and cutting, but if not it’s worth taking a look at this range. They’re designed to be time saving, labour saving and to impress any colleagues who use separate tools without having a perfectly good reason for doing so. Top of the range, how about the OHT steel combination tool which needs no seals because it punches through the strapping for a super strength hold. With reversible punching dies, the mechanism has a longer life too, for some great combination strapping performance on widths of up to 19mm. For flat packed applications, think about the TLN heavy duty steel combi tool. It tensions, crimps and cuts with a professional finish that will keep your pallets secure and your crates firmly fixed. Many of our steel strapping combination tools look like something out of Robot Wars, and none more so than the QST heavy duty steel strapping combination tool. It’s another combi tool that thinks separate seals are for wimps, and seals steel strapping without them. Like the OHT, it has reversible punching dies for extended life, and it’s a heavy duty tool. 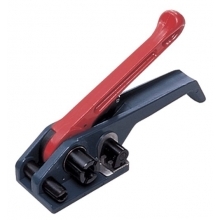 We sell tensioners, sealers and cutters as separate tools too. 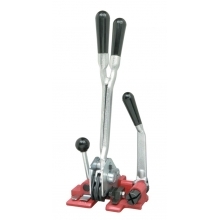 But if you’re on the look out for a combination strapping tool, come straight to us for some fantastic all-rounders. Whether you’re strapping with steel, polyester or polypropylene, you’re in the right place for great value and top performance combination strapping. 12mm Heavy Duty Off Set Jaws Strapping Sealer from the Pro-Series professional packaging range. Read the full product description. Optimax Heavy Duty Strapping Tensioner from the Pro-Series professional packaging range. Read the full product description. 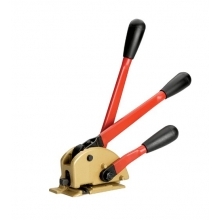 13mm, 16mm & 19mm TLN Heavy Duty Steel Strapping Combination Tool from the Pro-Series professional packaging range. Read the full product description. 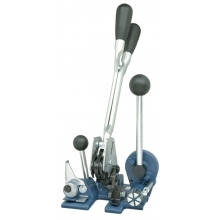 Budget Combination Tool from the Pro-Series professional packaging range. Read the full product description. 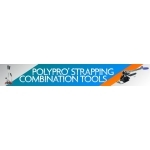 Standard Combination Strapping Tool from the Pro-Series professional packaging range. Available in two sizes, 12mm & 16mm. Read the full product description. 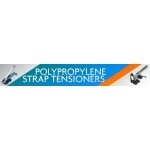 Standard Polypropylene Strapping Tensioner from the Pro-Series professional packaging range. Read the full product description.